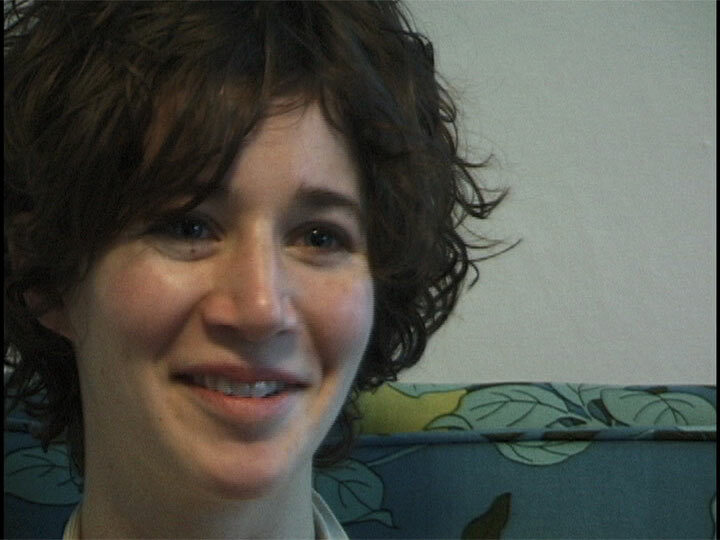 Miranda July (b.1974) makes performances, movies, and recordings—often in combination. Her videos (The Amateurist, Nest of Tens, Getting Stronger Every Day) present complicated parallel narratives with characters who experience loneliness, exploitation, unexpected phobias, and often inexplicable relationships. July has also recorded several performance albums released by Kill Rock Stars and K Records. In 1995 she founded Joanie 4 Jackie, an on-going movie distribution network for independent women movie makers. In this interview, July descibes how an imprisoned convict inspired her to write her first play at the age of 14. This overwhelming emotional receptiveness and compassion for others has continued to drive July’s work. She goes on to discuss the use of personal metaphor and symbolism in her work, and how she displaces them in order to conceal her exact proximity to the subject. July describes her desire to go beyond simple empathy in order to have her references exist as pure emotion that the viewer will be able to graft onto their own stories. The artist concludes by discussing her upcoming projects, including her attempt to do flyering for the 2002 Whitney Biennial, and her 2005 feature film Me and You and Everyone We Know. Interview conducted by Dara Greenwald and Blithe Riley in February 2002, and edited in 2014.